Living at Parkwood is like living at a fine resort. The Parkwood lifestyle includes complimentary use of the personal spas, exercise equipment, theatre, library, computers, sports lounge, country kitchen, woodworking shop and all other amenities. We even have a Fun Force Coordinator to ensure there are always entertaining and enriching activities and events for you to enjoy. 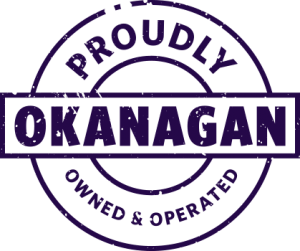 In addition to our extensive amenities, we offer a wide selection of bright and spacious one bedroom, one bedroom + den and two bedroom suites, many with spectacular valley views and outdoor balconies. There are even a limited number of elegant penthouse suites for the lucky few. Regular laundry, housekeeping, security and transportation is provided, leaving you free for the enjoyment of life. Come join us for a tour of our beautiful residence, then stay for lunch or dinner to allow us to demonstrate our attentive, caring service and excellent culinary abilities. 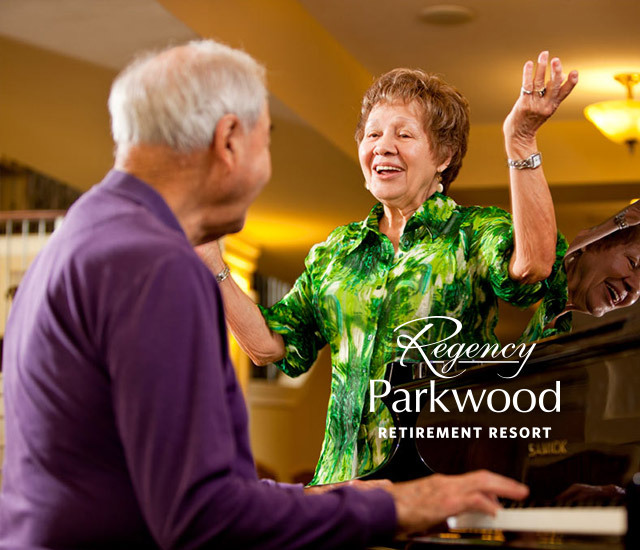 Move in to Parkwood Retirement Resort before April 30 and receive a $1000 gift certificate for moving assistance or discount off first month rent. 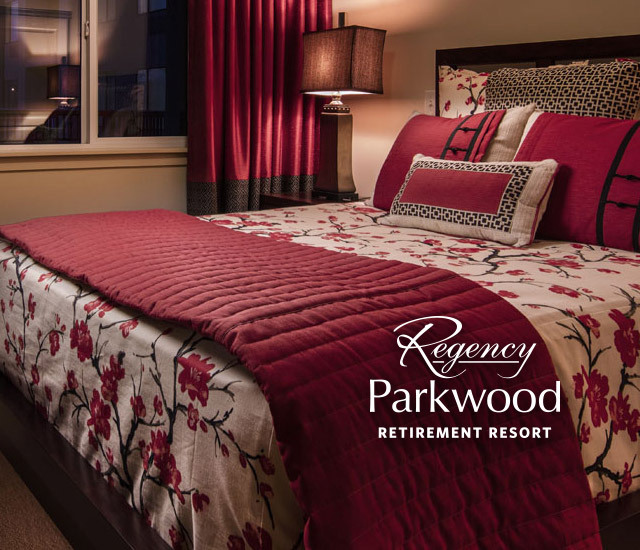 One bedroom one bathroom suite at Parkwood Retirement Resort, including meals and services only $2295/mo. We have a number of suite selections to best fit your needs. Comfortable, spacious and quiet. Parkwood has a number of great features and activities. Discover some of the fun here.